Your parents have always been there for you. And now that their 50th wedding anniversary is coming up, you want to go all out and help them celebrate their amazing relationship. Spending half a century with the love of your life is a rare milestone. So how do you celebrate such an accomplishment and give it the beauty and justice it deserves? Luckily, with some planning and focused attention, you can give your parents the golden celebration they’ll love. Let’s look at several ways you can plan a stunning 50th wedding anniversary for your parents. While a surprise party may be fun, getting the couple involved in the initial planning process will make the event even more personal. They may have been thinking about this milestone for some time and have ideas of their own. And it’s as simple as asking them if they have any preferences. Is there a certain theme they want? Do they want it to be a small affair or a large party? Getting their insight from the beginning will help steer you in the right planning direction. But you don’t want to give away all the details! Once you know what they want, leave their involvement at that. Everything that comes after will be a happy surprise for them. If your parents haven’t given you any preference for a 50th wedding anniversary theme, then the decision is all yours. And there are lots to choose from! Recreate their wedding reception from 50 years ago. Or maybe they went somewhere special on the honeymoon that has stuck with them all this time, like a romantic trip to Italy. Then bring Italy to the party! No matter if it’s simple or extravagant, make sure the theme represents who your parents are as a couple for the last 50 years. And don’t forget to play your parent's favorite music. Whether it be music-themed from 50 years ago, showcasing their love of jazz, or anything else that speaks to their taste. Make sure it’s all about them! The guest list for your parents 50th wedding anniversary party should be pretty simple to make. All you have to do is look back at who has been the most important people in their lives for the last 50 years. The size of that list depends on the size of the party you wish to throw. If it will be a small, intimate affair, close family and friends will be enough. If the celebration is bigger than that, it opens the guest list wide up to close co-workers, neighbors, and other friends. Make sure, no matter what size party you throw, that the venue can handle it. Book a room that will give your guests plenty of space to mingle. And if any of them have special needs, make sure the venue is set up to handle that. Since the 50th wedding anniversary is the golden anniversary, don’t be afraid to make the place shine! Now, more than ever, is the perfect excuse to layer on the glitz and glamour. And the best part is, it goes with any theme you decide on. White table linens with gold-rimmed plates and stemware make a gorgeous setting. Add in golden votive candles, gold-framed pictures of the couple, and golden napkin holders. If you need more, add golden touches throughout the room with golden twinkle lights, gold candles, or a gold backdrop behind the head table. And send the guests home with golden party favors such as gold foil wrapped candy or a split of champagne tied with a golden ribbon. Your parents 50th wedding anniversary menu is a great place to showcase who your parents are. And the fun part is, you can do this in many different ways. Recreate the exact meal they served on their wedding day. Or plan a meal that they shared on their first date. You can even make it as simple as their favorite meal together as a family. Just so long as it represents who they are as a couple for the last 50 years. Or you can choose a wedding package from the venue. They may have one that will suit your parents tastes perfectly. When it comes to dessert, see If you can sneak away a picture of your parent's wedding cake and take it to a local bakery. Ask if they can recreate it. You can decide to add golden accents or leave it as original as possible. And for the perfect finishing touch, try to get your hands on their wedding cake topper. Imagine your parents smiles as they cut into a replica of their wedding cake from 50 years ago. They will have a blast re-living the moment they smeared icing on the love of their life’s face. A fun way to incorporate all your guests into the celebration, and give your parents a memorable surprise, is to make a movie message for them. Well in advance of the party, contact your guests and ask them to record a message for the happy couple. This message can consist of a fun memory, well wishes for 50 more years together, or anything else the guest would like to share. It’s also a great way to include anyone that isn’t able to attend the party but still wants to be a part of the celebration. Recruit a friend or relative who has editing experience. Or hire a company to put it together for you. Either way, your parents are sure to enjoy watching and re-watching a movie message for years to come. You want to make your parents feel as special as their relationship is. 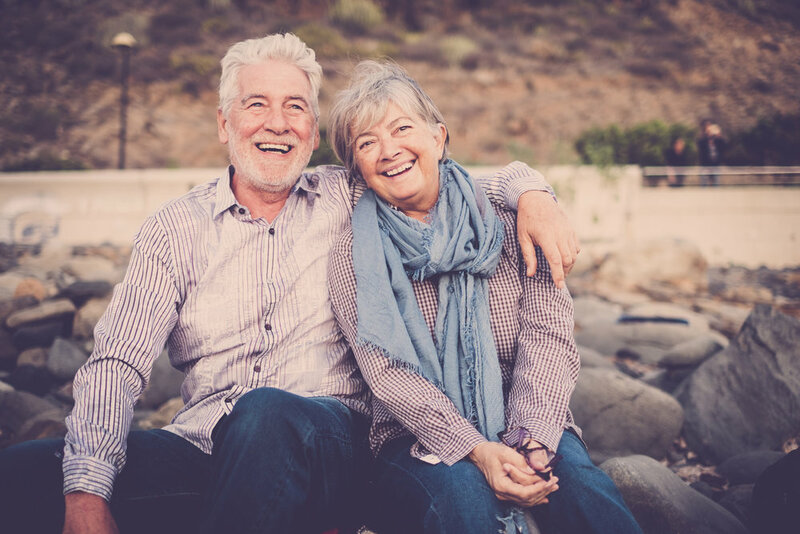 And by focusing on their years together, and the people that they have touched along the way, you can be sure their 50th wedding anniversary will be a celebration they will cherish. Ready to plan the celebration of your parent's dreams? Contact us today! We would be honored to discuss details of your event and answer any questions you may have.